The following article was originally featured by the Macdonald-Laurier Institute for Public Policy and is republished with permission. Read it in its original form here. During the Cold War, the geographical position of the Arctic and the technology available put the region in the geopolitical spotlight. The Arctic was the shortest flight path for Soviet and American intercontinental bombers between the United States and Soviet Union. 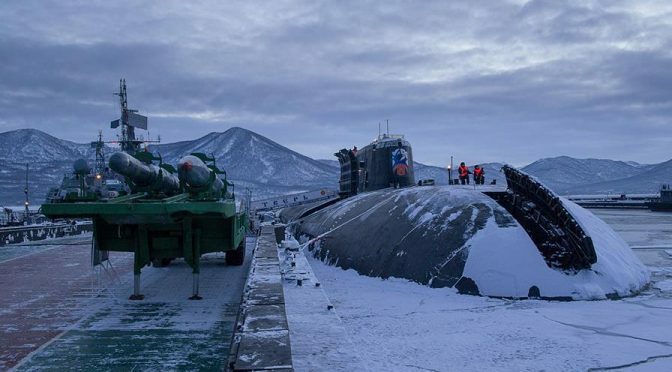 Later, with the advent of ballistic missiles, the Arctic’s strategic relevance began to fade – only to be reignited in the 1970s with the arrival of nuclear ballistic missile submarines (SSBNs) and strategic bombers armed with long-range cruise missiles. The United States cooperated closely with Canada to stop the bomber threat coming from Moscow. The end result was a number of early warning radar lines across Canadian territory, most recently the joint Canada-U.S. North Warning System (NWS) built in the late 1980s, as well as significant air defense (and later aerospace) cooperation evident in the bi-national North American Aerospace Defense Command (NORAD). By the 1980s, the U.S. Navy was also increasingly intent on penetrating the Soviet nuclear bastion in the Arctic with its own nuclear attack submarines. The Soviet Union was itself directly exposed to strategic bombers located in Alaska. Looking at the strategic context until 1991, the USSR gathered a significant number of defense forces in the Soviet Arctic, going from advanced air defense systems in Rogachevo, Amderma, and Alykeland Ugolnye Kopi to submarines able to launch nuclear weapons from the Soviet Far East. The United States and the Soviet Union both conducted military exercises in the Arctic, and eventually had the technological capabilities to destroy each other multiple times. However, it was difficult for the United States to say if Moscow was trying to develop a defensive or offensive policy in that part of the world – although that uncertainty did not prevent the U.S. from moving decisively to try to mitigate this potential threat. Moscow conducted an impressive number of nuclear experiments in the area. By the end of the 1980s, the USSR Northern Fleet had 172 submarines, including 39 SSBNs, 46 cruise missile submarines and 87 attack submarines, and between 1967 and 1993 Soviet and Russian submarines carried out a total of 4,600 training missions. However, looking at the size of the Arctic, the numbers are less impressive, and it seems difficult to know if the area was considered to be an outpost or a buffer zone, in so far as archives regarding Soviet nuclear weapons are still classified in Russia today. After the break-up of the Soviet Union, Russia inherited almost all Soviet facilities and nuclear equipment, including in the High North. 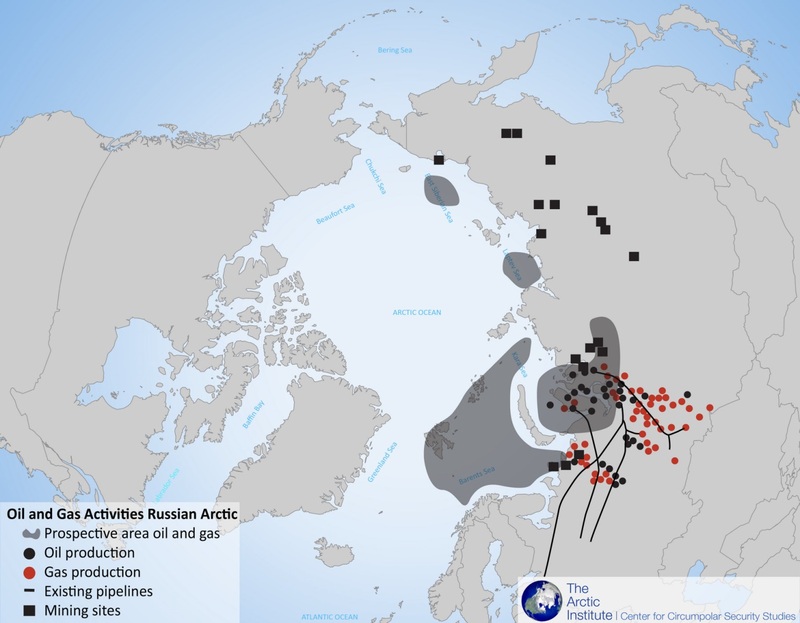 Does the Russian approach toward the Arctic differ from the Soviet one? Under then Prime Minister Yevgeny Primakov, supported by Russia’s first president Boris Yeltsin, Russia’s Arctic forces were almost entirely disbanded for economic reasons during the 1990s. The Kremlin did keep its SSBNs to ensure nuclear deterrence and a minimum presence in the area. But it also diminished the number of aircraft and anti-aircraft systems as well, the latter decision largely due to the difficulty with modernizing equipment needed to detect and intercept American bomber aircraft, such as the Northrop B-2 Spirit. With the return of Moscow on the international stage, Russia’s new nuclear policy in the Arctic has become a major issue for the relationship between the United States, Canada, Northern Europe (NATO and non-NATO members) and Russia after the annexation of Crimea in 2014. Indeed, current Russian President Vladimir Putin considers the modernization of Moscow’s strategic nuclear forces and its Northern Fleet to be a state priority. More than 80 percent of Russia’s strategic maritime nuclear capabilities is located in the Northern Fleet, mostly in the form of its ballistic missile submarine fleet. It is also focused on developing infrastructure needed to operate such capabilities, such as the refurbished military airfields in its northern region that will provide aerial support for its Northern Fleet. In the Russian Military Doctrine of 2014, the Arctic was highlighted as one of the three key regions for military development, alongside Crimea and Kaliningrad. And, since 2008, Russia has reestablished long-range aviation patrols and increased the presence and activity of the Northern Fleet. Putin’s policy in the Arctic can be interpreted as partly an attempt to protect future economic and military interests of the Russian Federation. After all, Russia has significant economic interests in the Arctic and needs to protect them. More than 20 percent of the country’s GDP is produced in the northern part of Russia, with approximately 75 percent of oil and 95 percent of natural gas reserves located in the area. In addition, it also is a means to put more pressure on Washington and its allies (including Canada) in the context of the ongoing crisis in Eastern Ukraine. As well, it provides an opportunity to threaten (and therefore possibly deter) countries showing a growing interest for NATO membership, such as Sweden and Finland. 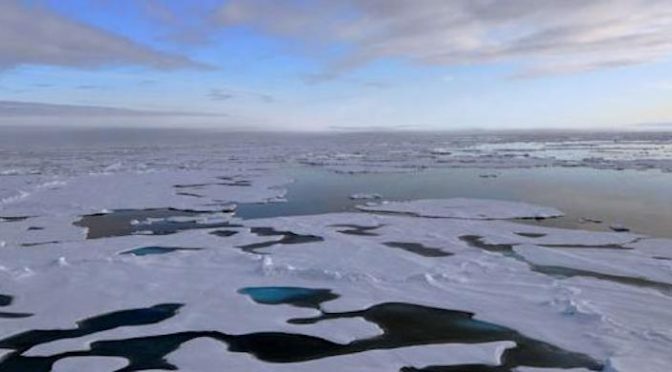 Russia has recently unveiled a new military base at Franz Joseph Land in the Arctic Sea, following its initial Northern Clover Arctic base on Kotelny Island, north of Siberia. The Franz Joseph Land archipelago had been abandoned in 1991 but the Russian Air Force decided to reopen Graham Bell Airfield (named the “Arctic Trefoil”) to protect Moscow’s interest in the area. However, Russia’s 150 soldiers are probably not enough to stop any foreign forces and control the 191 islands in this peninsula. A recent article published at the Department of Geography at Laval University also underlines the limitations of Russian Air Force operations in the Arctic, pointing particularly at the relative modest number of air military patrols in the region compared to the significant number of intrusive patrols (bombers and fighters) close to Japan, Northern Europe, and the Baltics. In that context, it seems difficult to say if Russia is able to conduct any large military exercises in the Arctic, due to the size of the region and the limited number of troops on the ground. A brief look at the equipment available like the Tupolev Tu-160 – a Soviet bomber produced in the USSR between 1984-1991 and upgraded by the Russian Air Force – shows their limited capabilities to conduct an attack against Alaska or Northern Europe from the area, although their development of long-range cruise missile technology could change that calculus. The Russian Federation is also facing difficulties when it comes to submarines. The Russian Navy cancelled the modernization program for its venerable Typhoon-class vessel in 2012, and most of its newer Borey-class SSBNs are under construction and those vessels earmarked for the Northern Fleet (Knyaz Pozharskiy, Generalissimus Suvorov) won’t be ready until 2020. Indeed, the Yury Dolgorukiy is the only submarine located in the Arctic at the moment. Despite Putin’s stated interest in strengthening the Northern Fleet, this situation should remain the same for the foreseeable future – especially following Moscow’s revised funding scheme for the Arctic. The expected budget approved for the military in the Arctic until 2020 is 17 times lower than the original sum. This arises from Russia’s current economic crisis, brought on not least by international sanctions after its military intervention in Ukraine. In this context, rather than fixating on Russian activities in the Arctic, the United States and Canada should continue to focus the brunt of their attention on Europe and Syria – where the Russian presence remains far more intrusive, robust, and ultimately destabilizing. Michael Eric Lambert received a PhD in History of Europe and International Relations from Sorbonne University, France. He is Founder and Director of the Caucasus Initiative, a new independent and unaligned European Policy Center with the mission to analyze contemporary issues related to de facto states and the Black Sea area. As icecaps melt and access to natural gas and oil reserves increase, the Arctic rises in importance on the geopolitical stage. 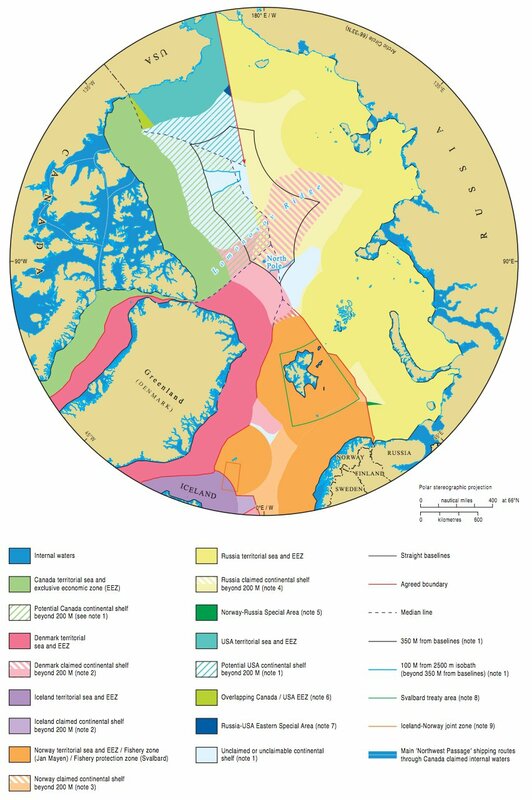 In addition to the various groups of indigenous people who reside in the Arctic, eight countries Russia, Finland, Sweden, Norway, Iceland, Denmark, Canada, and the United States have claimed interest in the Arctic. Diplomacy between the different groups is required for cooperation and organization in the complicated region. 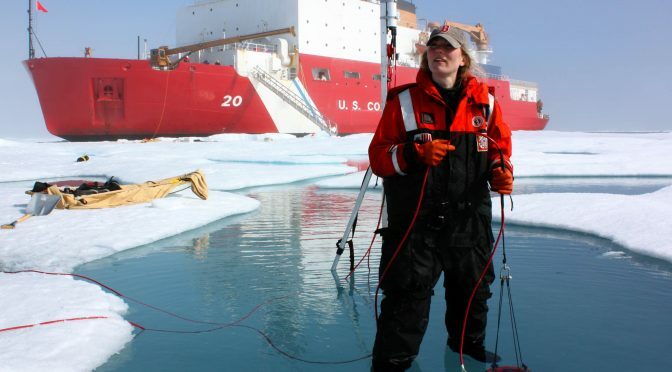 Due to its importance in environmental security, sizable natural resource reserves, and remote location, the Arctic incentivizes cooperation through science diplomacy. Science diplomacy is defined by the Royal Society and American Association for the Advancement of Science as threefold: “Informing foreign policy objectives with scientific advice, facilitating international science cooperation, [and] using science cooperation to improve international relations between countries.”1 Science diplomacy has accomplished much in the past, both between allied nations, and in situations when traditional lines of cooperation were fraught. For example, the warming of relations with China during the Nixon administration and cooperation in the International Space Station both resulted, or were sustained in part due to science diplomacy.2 It should be noted, however, that there are barriers to science diplomacy. Policymakers and scientists alike can be confused about how this type of diplomacy is different from general scientific cooperation and additionally, “after generations of colonialism and geopolitical maneuvering, developing nations may be wary of science engagement with the North.”3 The Arctic region has existing channels of successful science diplomacy, which hopefully can be sustained into the future. In 1909 Robert Peary, and American explorer, reached the North Pole and claimed it for the President of the United States. Since then, Russia, Finland, Sweden, Norway, Iceland, Denmark, and Canada have all made claims or asserted influence in the region.4 The first international agreement regarding the Arctic came from the United Nations Convention on the Continental Shelf, which was signed in 1958 and allowed for coastal states to explore resources on their continental shelf.5 It was superseded by the UN Convention on the Law of the Sea, which “grants coastal states a 200-nautical-mile exclusive economic zone and allows them to assert control over territory beyond that limit if they can prove, geologically, that the seabed is an extension of their continental shelf.”6 However, it is notable that the United States did not sign the agreement until 2013 and still has yet to ratify it. The Arctic Council was formed in 1996 with all the arctic states, as well as six groups of indigenous peoples, serving as members. It houses six scientific working groups: Arctic Contaminants Action Program, The Arctic Monitoring and Assessment Program, Conservation of Arctic Flora and Fauna Working Group, Emergency Prevention, Preparedness and Response Working Group, Protection of the Arctic Marine Environment, and the Sustainable Development Working Group.9 As the Arctic becomes increasingly more important for environmental security, these institutions can act as the foundation for increased science diplomacy. Global climate change has brought the Arctic closer to the forefront of the international stage. The Arctic Ocean is currently warming at double the rate of any other place on our planet.10 As ice caps melt, the region has become more accessible to both countries and private corporations to drill for oil and gas in large, untouched reserves.11 Both the environmental and the resource importance of the region requires the involvement of scientists and technologists at the Arctic. Due to the remoteness of the region and the harshness of the environment, cooperation has been incentivized for cost sharing of logistic and facility resources.12 There are enough common interests among the Arctic states to incentivize cooperation. These de-facto partnerships can be used as a foundation on which to build further collaboration, through traditional and science diplomacy channels. While there are existing structures to promote science diplomacy in the Arctic, improvements can be made. Recommendations for improved science diplomacy include increasing partnerships between the government, the private sector, universities, and NGOs, as well as involving youth in scientific diplomacy efforts.13 There has also been efforts to promote, “greater scientific expertise within the Foreign Service and the State Departments,” in order to institutionalize scientific diplomacy channels.14 The countries that have created official positions of Science & Technology Advisors to Foreign Ministers are New Zealand, Oman, Poland, Senegal, Japan, the United Kingdom, and the United States.15 If more Arctic states follow suit, science diplomacy can continue to grow in the Arctic. The foundation of science diplomacy has been established in the Arctic and can be sustained and expanded if the Arctic states decide to follow the incentives of cooperation that is inherent in the unique region. The Arctic states should capitalize on this opportunity and push for expanded science diplomacy efforts. Jackie Faselt is a senior at Tufts University interested in international security and technology policy. On campus, she is involved in Alliance Linking Leaders in Education and the Services (ALLIES), a civil-military relations club. She has interned at the National Defense University in the Center for Technology and National Security Policy, as well as at the Consortium for Gender, Security, and Human Rights. “About Us – Arctic Council.” Arctic Council, May 23, 2016. http://arctic-council.org/index.php/en/about-us. Berkman, Paul. “Stability and Peace in the Arctic Ocean through Science Diplomacy.” Science & Diplomacy 3, no. 2 (June 2014). http://www.sciencediplomacy.org/perspective/2014/stability-and-peace-in-arctic-ocean-through-science-diplomacy. McCormick, TY. “Arctic Sovereignty: A Short History.” Foreign Policy, May 7, 2014. https://foreignpolicy.com/2014/05/07/arctic-sovereignty-a-short-history/. National Research Council (U.S.), and National Research Council (U.S.), eds. U.S. and International Perspectives on Global Science Policy and Science Diplomacy: Report of a Workshop. Washington, D.C: National Academies Press, 2012. “New Frontiers in Science Diplomacy: Navigating the Changing Balance of Power.” The Royal Society, January 2010. https://www.aaas.org/sites/default/files/New_Frontiers.pdf. “Science & Technology Advisors to Foreign Ministers Panel Dialogue.” Tufts Fletcher School, February 19, 2017. http://fletcher.tufts.edu/Calendar/2017/02/19/Science-Technology-Advisors-to-Foreign-Ministers-Panel-Dialogue-.aspx. The International Arctic Science Committee. “About IASC – International Arctic Science Committee.” Accessed March 17, 2017. http://iasc.info/iasc/about-iasc. “The Power of Science Diplomacy: A View from the South.” NEWSLETTER A PUBLICATION OF THE WORLD ACADEMY OF SCIENCES, 2014. “United Nations Convention on the Continental Shelf.” Council on Foreign Relations. Accessed March 17, 2017. http://www.cfr.org/world/united-nations-convention-continental-shelf/p21071. 1. National Research Council (U.S.), eds., U.S. and International Perspectives on Global Science Policy and Science Diplomacy: Report of a Workshop (Washington, D.C: National Academies Press, 2012), 27. 2. “The Power of Science Diplomacy: A View from the South,” NEWSLETTER A PUBLICATION OF THE WORLD ACADEMY OF SCIENCES, 2014, 2. 3. “The Power of Science Diplomacy: A View from the South”, 7. 4. TY McCormick, “Arctic Sovereignty: A Short History,” Foreign Policy, May 7, 2014, https://foreignpolicy.com/2014/05/07/arctic-sovereignty-a-short-history/. 5. “United Nations Convention on the Continental Shelf,” Council on Foreign Relations, accessed March 17, 2017, http://www.cfr.org/world/united-nations-convention-continental-shelf/p21071. 7. Paul Berkman, “Stability and Peace in the Arctic Ocean through Science Diplomacy,” Science & Diplomacy 3, no. 2 (June 2014), http://www.sciencediplomacy.org/perspective/2014/stability-and-peace-in-arctic-ocean-through-science-diplomacy. 8. The International Arctic Science Committee, “About IASC – International Arctic Science Committee,” accessed March 17, 2017, http://iasc.info/iasc/about-iasc. 9. “About Us – Arctic Council,” Arctic Council, May 23, 2016, http://arctic-council.org/index.php/en/about-us. 13. National Research Council (U.S.), eds., U.S. and International Perspectives on Global Science Policy and Science Diplomacy: Report of a Workshop, 38-39. 15. “Science & Technology Advisors to Foreign Ministers Panel Dialogue,” Tufts Fletcher School, February 19, 2017, http://fletcher.tufts.edu/Calendar/2017/02/19/Science-Technology-Advisors-to-Foreign-Ministers-Panel-Dialogue-.aspx. The maritime region centered on the South China Sea has been a vital international trade route and reservoir of natural resources throughout modern history. Today, its importance cannot be understated: half the volume of global shipping transits the area, competition for energy and fishing rights is intensifying between surrounding nations (with growing populations), commercial interests are increasing, and regional military spending increases lead the world. Rivalry over resources and security has triggered disputes about sovereignty and historical rights. China has used its increasing relative power to aggressively claim sovereign rights over two-thirds of the South China Sea within the so called “Nine-Dash Line.” Overlapping claims by the Philippines, Vietnam, Malaysia, Brunei, and Taiwan are being dismissed and have sometimes resulted in armed confrontations. Furthermore, the construction of artificial islands and significant military installations on reefs and rocks is underpinning Chinese sea control ambitions within the “First Island Chain.” This deteriorating security environment threatens regional stability, adherence to international law, and the freedom of the seas. Furthermore, it has the potential to escalate into conflict far beyond the levels of militarization and skirmishes between fishing fleets, coastguards and navies seen so far. The U.S. has been deeply involved in the creation and management of the East-Asian state system since World War II, contributing to its economic progress and security arrangements, which include alliances with the Philippines, Japan and South Korea. Thus, the regional interests of the United States include freedom of navigation, unimpeded lawful commerce, relations with important partners and allies, peaceful resolution of disputes, and the recognition of maritime rights in conformity with international norms and law (with the provisions of the United Nations Convention on the Law of the Sea (UNCLOS) in particular).1 These principles are universally applicable and must be upheld every time and everywhere to be respected. Regional countries are now reconsidering the relevance and commitment of the balancing power of the U.S. in light of Beijing’s dismissal of American concerns and bilateral initiatives towards its smaller neighbors. The Arctic region similarly holds the potential for great power rivalry, but in contrast offers a good example of peaceful settlement and compromise. 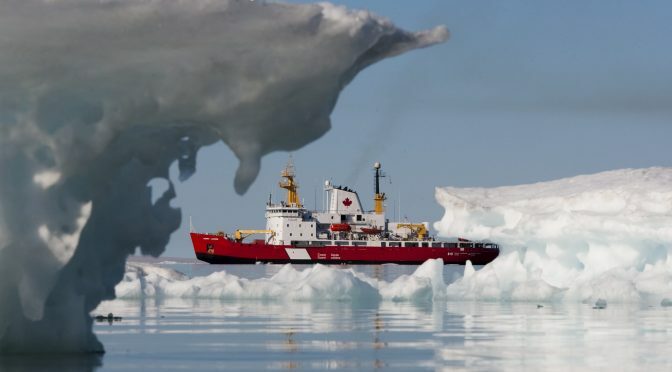 The diminishing ice cap is causing a growing emphasis on resources, international waterways, and commercial activity in the Arctic, where there are also competing claims and great power security interests represented. However, the Arctic nations have chosen to cooperate with regards to responsible stewardship and use UNCLOS and supplementing treaties as the legal basis. The cooperative framework is constituted by the Arctic Council, the agreed adherence to international law and arbitration tribunals, bilateral and multilateral treaties, demilitarized zones, Incident at Sea agreements, joint fisheries commissions, as well as the power balance between Russia and the NATO alliance. As a result, although there is potential for competition and diverging national interests, mutually beneficial compromises and diplomatic solutions to maintain stability and predictability are preferred. The Svalbard Treaty of 1920 set a standard for international governance, and was a bold and forward looking concept when introduced almost 100 years ago.2 The archipelago was discovered by Dutch explorers in 1596, and resources were since extracted by Holland, England, Russia, and Scandinavians. Eventually, the major powers voluntarily conceded sovereignty over the islands to the young Norwegian state through a commission related to the Paris Peace Conference after World War I. The Treaty allows visa-free access for citizens of signatory states, equal rights to extract natural resources, freedom to conduct scientific activities, ensures environmental protection, and prohibits permanent military installations. This agreement exemplifies the feasibility of imposing restrictions on sovereign authority, the accommodation of the interests of the parties, and adherence to non-discrimination principles. Much like the South China Sea, there have been clashes between the coastal states in the Arctic. 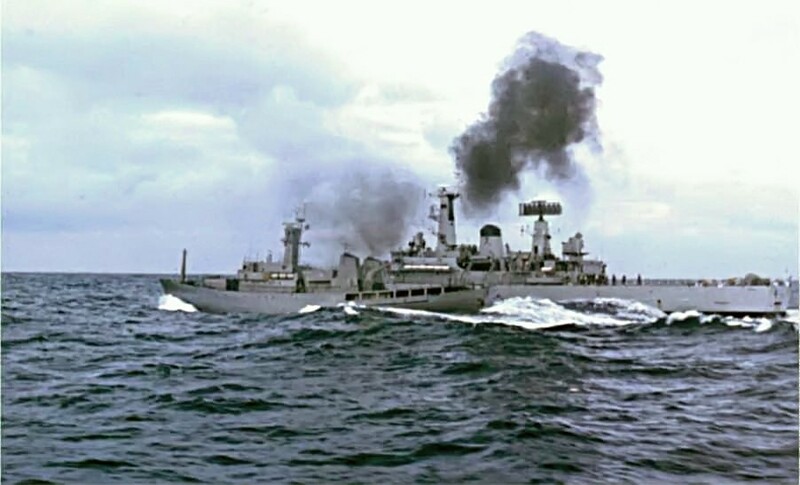 Between 1958-1961 and in 1976, there was a state of armed conflict and diplomatic breakdown between the United Kingdom and Iceland over fishing rights. 3 The Royal Navy escorted British fishing vessels to confront the Icelandic Coast Guard in the contested zone. Shots were fired, ships were rammed and seized, and fishing gear was cut loose from the ships in heated skirmishes. However, on both occasions it was the stronger power that stood down to the weaker, as Britain finally recognized Iceland’s right to protect its resources after significant international diplomacy that included the forming of UNCLOS. China has mostly shown an uncompromising attitude in the South China Sea since the 1970s, without serious U.S.-led international efforts to check its use of force. But China too has occasionally demonstrated its willingness to forward claims to international arbitration bodies, such as its 2012 submission to the Commission on the Limits of the Continental Shelf regarding the East China Sea.9 However, that effort must be viewed in context of the ongoing efforts at the time to be accepted as observer in the Arctic Council. The recent row between the Chinese and the U.S. Navy over an Unmanned Underwater Vehicle is symptomatic of the evolving problem, which must be addressed by the new administration in the White House. The South China Sea currently constitutes the primary global hotspot where major and regional powers’ vital interests and alliance commitments directly clash. A framework to manage this region must be negotiated by the two superpowers primarily and supported by the other involved nations. It requires the will to compromise and the pursuit of mutual interests while looking forward – a set-up which could benefit from the indicated transactional policy approach of President Trump. Any long-term solution would have to accommodate legitimate Chinese demands for security and resources. But, the U.S. must commit strongly by dedicating all available instruments of power (diplomatic, information, military, and economic measures) to impose negative consequences unless China is willing to negotiate from its strong position. Furthermore, the U.S. must uphold the same standards and make concessions itself. It must therefore expediently ratify UNCLOS10 with its international tribunals and vow to respect the treaties that must be created to regulate sovereignty, demilitarization, commercial rights and responsibilities to protect fish stocks and the environment. Chinese concerns about the “One China Policy,” American forward basing, and policy on the Korean peninsula must also be on the table, as well as cooperation on regional trade agreements. While state security can be achieved in the South China Sea through treaties, demilitarization, power balance and predictability, the conditions for prosperity flow from similar efforts. As demonstrated in the Arctic, good order at sea and responsible stewardship encourages investments and lay the foundation for cooperative ventures that are mutually beneficial. Uncontested sovereignty and fair trade regulations are incentives for developing expensive infrastructure necessary for harvesting resources under the seabed. The inevitable link connecting China and the U.S. is the economic dependency between the two largest economies in the world. So far, they have both unsuccessfully introduced regional free trade initiatives in order to create beneficial terms for themselves such as the Regional Comprehensive Economic Partnership agreement and the Trans Pacific Partnership respectively. 11 An obvious flaw with these proposals is that they have excluded the opposite superpower. Since both countries are indispensable trading partners to most others, a cooperative effort to create trade agreements would benefit both and could not be ignored. Although unresolved sovereignty issues in the South China Sea make it a tough case, there is a model to study and lessons to be learned in the cooperative management of the Arctic region (as well as the 1959 Antarctic Treaty and the 1936 Montreux Convention). However, controlling the impulses of a great power to dominate its surroundings requires a massive international diplomatic effort, creating alternative mutually beneficial conditions and a proper balancing of military power. Active U.S. presence and regional capability is fundamental to maintaining a balance and influencing the shaping of a cooperative environment. But first and foremost, there is a requirement for building trust and confidence through long term commitment to international cooperation, predictability and clear intentions. For a start, the good examples from the Arctic have been shared with China, Japan, India, the Republic of Korea and Singapore – all of which are involved or have vital interests in the South China Sea dispute – since they became observer states to the Arctic Council in 2013. Likewise, the U.S. can also benefit from its experience as an Arctic nation, and from the insight gained from holding the chairmanship of the Arctic Council since 2015. Moving forward, the Arctic offers successful governance lessons that can be applied to the South China Sea in order to maintain stability and ensure prosperity for all. Daniel Thomassen is a Commander (senior grade) in the Royal Norwegian Navy. He is a Surface Warfare Officer serving as Commanding Officer of HNoMS Fridtjof Nansen (FFGH). He is a graduate of the Royal Norwegian Naval Academy (2002), U.S. Naval War College (2015), and holds an MA in International Relations from Salve Regina University (2015).